Federalist No. 1 was written for the Independent Journal, a New York newspaper, on Saturday, October 27, 1787. AFTER experiencing the obvious ineffectiveness of the existing government of our confederation, you are called upon to deliberate on a new Constitution for the United States of America. The consequences of this most important subject are self evident; including nothing less than the very existence of the UNION, as well as the safety and wellbeing of the parts which compose it. We are speaking of the fate of an empire which, in many respects, could be considered the most promising in the world. It has often been said that the people of this country will determine by their conduct and example, whether or not societies of men are really capable of structuring good government by wise choice, or whether they are forever destined to depend on political systems based on chance and force. This situation makes it imperative that we make a decision—and a wrong choice on our part may be considered the world-wide misfortune of mankind. Realizing this will add our feelings of love for our fellow men to the sense of patriotism which we feel for our country. It will serve to heighten the passionate concern which all good and considerate men must feel for the success of this endeavor. It will be most fortunate if our choice should be directed only by a rational evaluation of our true interests, unperplexed and unbiased by considerations which are not connected with the public good. But, as much as we wish for this, we cannot seriously expect it to be the case. The plan offered for our deliberation affects too many particular interests, changes too many local institutions, not to involve in its discussion a variety of points that are foreign to its merits. Views, passions and prejudices that are not very favorable to the discovery of truth will also abound. One of the most difficult obstacles the new Constitution will have to deal with will be the obvious interest of a certain class of men in every State to resist all changes which might decrease the power, emolument, and consequence of the offices they now hold under the State governments. Another concern is the perverted ambition of another class of men, who will either hope to aggrandize themselves by the confused situation of their country, or will flatter themselves with fairer prospects of rising to power by subdividing the country into several separate confederacies than from it being united under one government. It is not my design to dwell upon observations of this nature. I am well aware that it would be disingenuous to dismiss the opposition of any set of men by labeling their views “interested” or “ambitious”. We must assume that such men may be motivated by upright intentions. I don’t doubt that much of the opposition which has been expressed, or may hereafter be expressed, will spring from sources which are at least blameless, if not respectable—the honest errors of minds led astray by preconceived jealousies and fears. The causes which serve to give a false bias to our judgment are so numerous and so powerful, that many times we see wise and good men on the wrong side as well as on the right side of questions which are most important to society. This circumstance would furnish a lesson of moderation to those who are persuaded that they are right in any controversy. And furthermore, we are not always sure that those who advocate the truth are influenced by purer principles than their opponents. Ambition, avarice, personal animosity, party opposition, and many similar motives, are as apt to influence those who support as those who oppose the right side of a question. Even without these inducements to moderation, nothing could be worse than that intolerant spirit which has always characterized political parties. For in politics, as in religion, it is equally absurd to aim at making proselytes by fire and sword. Heresies in either realm can rarely be cured by persecution. Even so, we presume that this discussion will parallel all previous cases of great national concern. A torrent of angry and malignant passions will be let loose. To judge from the conduct of the opposing parties, we suppose that they will all try to demonstrate the correctness of their opinions, and to increase the number of their converts by the loudness of their declamations and the bitterness of their invectives. An enlightened zeal for a strong and efficient government will be stigmatized as the offspring of a temper fond of despotic power and hostile to the principles of liberty. An over-zealous fear of danger to the rights of the people, which is more commonly the fault of the head than of the heart, will be represented as mere pretense and artifice, the trite bait for popularity at the expense of the public good. We forget that jealousy usually accompanies love, and that the noble enthusiasm of liberty is apt to be infected with a spirit of narrow minded distrust. On the other hand, we also forget that a government must be strong to secure liberty. In making a sound and well-informed judgment, that aspect can never be ignored. A dangerous ambition more often lurks behind the specious mask of zeal for the rights of the people than under the forbidden appearance of zeal for the strength and efficiency of government. History will teach us that the former has been a much more certain way to introduce despotism than the latter. Of those men who have overturned the liberties of republics, the greatest number have begun their career by pretending to be subservient to the people; commencing demagogues, and ending tyrants. In the preceding observations, I have tried to put you on guard against all attempts to influence your decision in this most important matter, by any impressions other than those which may result from the evidence of truth. You will, no doubt, realize that I am in favor of the new Constitution. Yes, my countrymen, I admit to you that, after having given it an attentive consideration, I am clearly of the opinion that it is in your interest to adopt it. I am convinced that this is the safest course for your liberty, your dignity, and your happiness. I don’t pretend anything which I do not feel. I will not make it appear that I have not made up my mind when I have decided. I frankly acknowledge to you my convictions, and I will freely lay before you the reasons on which they are founded. I shall be as clear as I can on the subject. I shall not, however, go on and on to convince you. My motives must remain in my own heart. My arguments will be open to all, and may be judged by all. They shall at least be offered in a spirit which will not disgrace the cause of truth. I propose to discuss the following topics in a series of papers,: — The value of the UNION to your political prosperity — The insufficiency of the present Confederation to preserve that Union — The necessity of a government at least as strong as the one proposed, to attain this object — How the proposed Constitution conforms to the true principles of republican government — Its analogy to your own state constitution — and lastly, The additional security which its adoption will afford to the preservation of good government, to liberty, and to property. In the progress of this discussion I shall endeavor to give a satisfactory answer to all the objections that may seem to have any claim to your attention. Perhaps it will be thought superfluous to offer arguments to demonstrate the value of maintaining the UNION. This point, no doubt, is deeply engraved on the hearts of most of the people in every State. Some may even suppose that no one thinks differently. But the fact is that we already hear it whispered in the private circles of those who oppose the new Constitution, that the combined size of the thirteen States is too great to be controlled under one general system, and that we must of necessity resort to separate confederacies made of distinct sections of the land. This doctrine will probably be gradually taught, until it has enough advocates to proclaim it openly. Nothing can be more evident, to those who are able to analyze the subject, than the alternative of the adoption of the new Constitution or the dismemberment of the Union. It will therefore be useful to begin by examining the advantages of maintaining the Union and showing the problems, and the probable dangers, to which every State will be exposed from its dissolution. This shall be the subject of my next address. 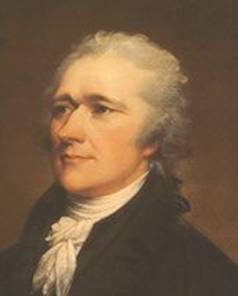 Probably the most effective way to become acquainted with the thinking of an individual like Alexander Hamilton, is to study one of his essays and then paraphrase the concepts that he expresses in your own words. This work represents that very endeavor with Federalist No. 1 where Hamilton asks the people of the state of New York to analyze the merits of the proposed Constitution. I invite all patriots and students of the Constitution to review my efforts contained in this study and express your views whether similar or contrary to what I claim Alexander Hamilton was trying to say.